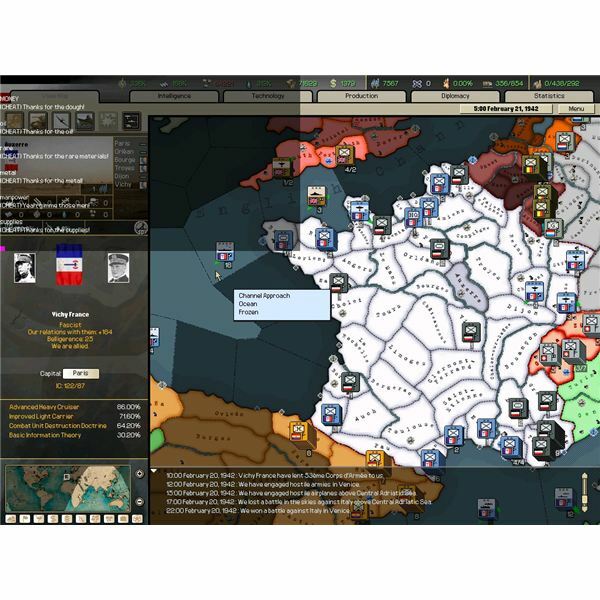 Cheats are present in most video games, but few games utilize them as backdoors to making a believable and customizable alternate history simulation like those in Hearts of Iron 2. 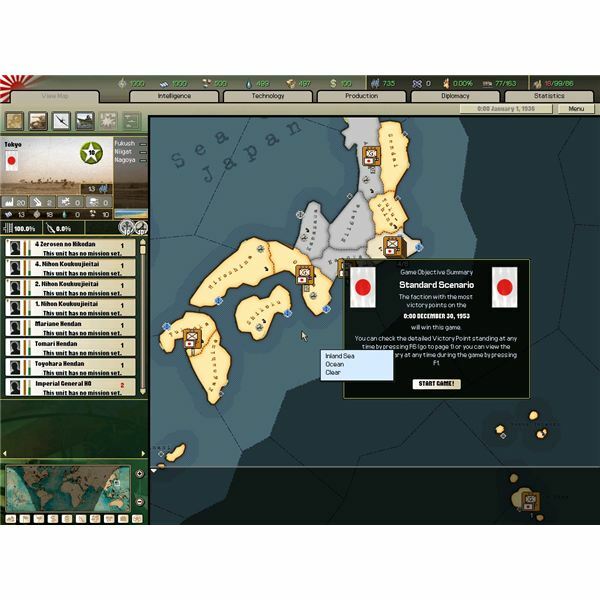 Cheat codes available in HOI 2 range from those that simply provide additional money and resources to cheats that turn off the artificial intelligence and allow the user complete control over all countries in the game. This provides sufficient control to the user to make HOI 2 akin to a sandbox style game in the vein of Sins of a Solar Empire. 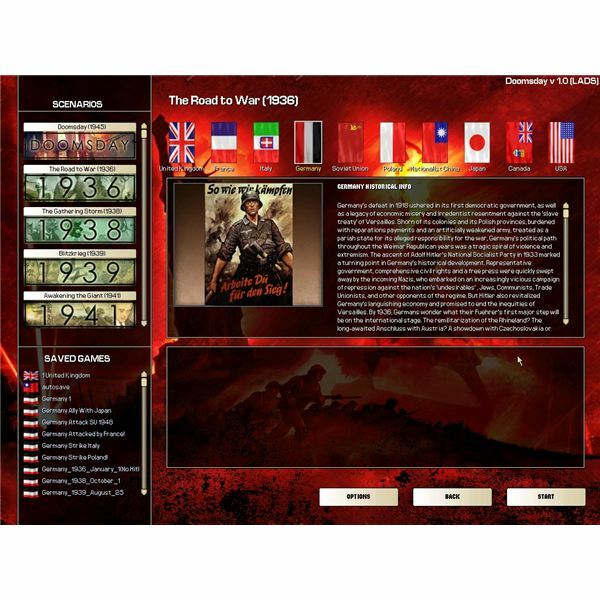 A player can choose to follow many directions in a game of Hearts of Iron 2, because there are dozens of countries to choose from in 1936 and dozens more that can be created during the eighteen year period the game covers (with the Doomsday expansion installed). There are even some particularly extreme variations that can be unleashed: there's a cheat that unleashes an alien attack in Hearts of Iron 2. How to do alien invasion cheat code triggers involves simply typing in "alienattack" followed by the in-game ID number pertaining to a province to be attacked. The sheer variety of cheats that can be entered in Hearts of Iron 2 have an extreme effect on the game's replay ability and customization ability. From major structural changes to simple boosts in a particular country's economy, the cheats are there to dramatically change the game. Like most strategy games, Hearts of Iron 2 has cheat codes that provide resource injections – in this case money, metals, oil, rare minerals, and energy. These are meant to speed the pace of the game or allow certain nations with limited raw material resources obtain sufficient supplies to be viable as playable countries. HOI 2 depends on industrial capacity points, and although there appears to be a minimum value assigned to every nation regardless of its official province IC totals, single digit IC values are simply not enough to sustain a viable economy or military in the game. IC capacities can be expanded and even highly developed countries would be wise to increase theirs. Smaller countries like Afghanistan or Albania absolutely must increase their IC counts as much as possible lest they be too weak to resist invasion later in the game. But IC expansion takes time – an investment of 5 ICs in production is necessary to build out one new IC point each year. And every additional IC requires energy, metal, and rare mineral resources to support it. Smaller nations with few resources and little to trade can be almost impossible to play in any interesting fashion without relying on cheat codes. These can be used to purchase blueprints from allies and military equipment from abroad in addition to backstopping the country's economy. Such equipment can be used to expand borders and boost the resource base necessary to rapidly grow the country's power. The most basic Hearts of Iron 2 cheat codes are activated simply by typing the word related to the desired resource in the chat console (opened by hitting F12). They are self explanatory: money, metal, energy, rare, oil. Each should be entered individually, in all lower case, with no spaces or punctuation. Hearts of Iron 2 is largely driven by in-game triggers called events, which are scripted changes to alliances, government characteristics, province ownership, and even allies and enemies. These will occur either randomly or under predetermined conditions throughout the game, and serve to give it much of its unique character. These events can also be triggered prematurely and in a controlled fashion through the cheat console. Simply hit F12 and type in the word "event" without the quotes followed by the four digit code for the desired event. These codes can be found in the db folder within the file structure of the Hearts of Iron 2 directory created during installation. The events that can be triggered in a range from the assassination of Hitler to the surrender of the Soviet Union to the German army. The use of certain triggers, such as the latter, can be seen as cheats in a traditional sense because they dramatically alter a typical game of Hearts of Iron 2. Cheat codes in strategy games are usually not quite as broad, and so the events should be triggered with caution. However, to construct a game path suitable to the player's tastes, the event triggers can be invaluable. If the goal is to start 1936 with a Germany that has already reoccupied the Rhineland and incorporated Austria into the Reich, then event triggers can be set that will effect this goal. Of course, beware – certain events in one country trigger additional events in another. If, for example, an event is triggered in 1936 that causes the Munich Agreement to come down two years early, the Allies and Soviet Union will get a "Gearing Up For War" event that increases their industrial capacity and danger to Germany in later years. How to do an alien invasion cheat code is as simple as determining the ID of the province the player wants to see invaded (which can be obtained either in the game data or by entering the showid code in the cheat screen) and then typing in alienattack followed by the province ID. This is a good example of a global cheat code in HOI 2 – one that completely and radically alters the dynamics of the game. Other global cheats are available that are less dramatic but still exceptionally effective at altering the game. First of all, the AI can be turned off completely and control of each and every country on the map can be taken over by the human player. This adds to the sandbox-like nature of Hearts of Iron 2. Cheat codes like fullcontrol, which triggers the AI shutoff or restart, let the player alter the map and game dynamics on a whim. In effect, a player who wants to test out a particular scenario is able to set it up with a little planning and by using global cheats. Other global style cheats involve allowing any governmental changes to be made freely to whatever country is being controlled (the code is freedom) and forcing the AI to accept any deals proposed to it (the code is acceptall). These basically mean that the player, even if not controlling every country, can reload and alter the starting conditions from the perspective of whichever existing country is chosen. Other valuable global cheats are difrules, which turns on the player God mode, and nofog, which unhides all enemy units. But be warned: Utilizing global Hearts of Iron 2 cheat codes should only be done by players who want a definitively altered experienced relative to that found normally in the game. Hearts of Iron 2 is fun enough to play without cheats, so they should be used only if the game is getting old or a particular scenario has captured the gamer's imagination. And also, in multiplayer games be sure to agree on legal cheats before game start. Few actions can cause a breakdown in a game between different people faster than accusations of cheating.